I'm putting it out there, I love salads! 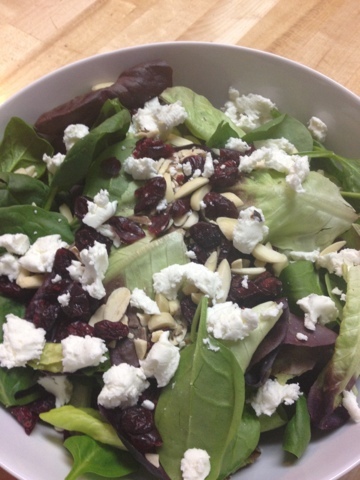 There's nothing better than a simple tasty salad and last night I made myself just that. If you choose to use a pre-made salad dressing I like Ken's Balsamic with Honey salad dressing. After dinner I might have indulged in the best store bought gelato. If you haven't tried TALeNTI run to the store and buy it today. 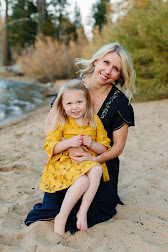 Shout out to another Tahoe blogger :) Arica was on my Tough Mudder Team and is the mommy to a furry pup named Wilson. She's also a great cook! Yesterday, she shared black bean mushroom burgers on homemade jalapeno cheddar bread. Check out her oh so good for you meals over at Yummy Fixins. Yum! I looooooooove goat cheese. Sadly I can never find it in my town. We need to fix that! I make a salad really similar to this and I think I'd eat it almost every single night. Delicious! My husband doesn't like goat cheese though, so I usually throw in some blue cheese or cut up brie. 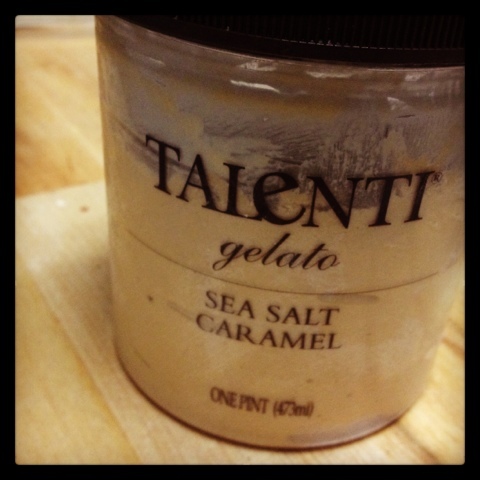 That Talenti gelato is to die for... plus I love anything caramel so that's a flavor I have to try. I have to admit I love salads...when other people make them or if I eat them out. This is another thing I need to work on this year :) We love gelato, I am going to have to try this one the next time I see it at the store! Your fellow Tahoe bloggers burger and bread sound amazing! I need to check her blog out! Thanks for sharing! We have been doing a lot more salads this year, I will have to try this one out! Mann goat cheese.... So yummy!!! Will definitely try this recipe out! !